We have the heaters for you. 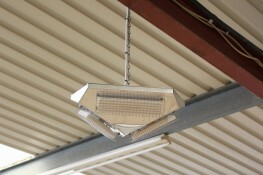 Space heaters are designed for high ceiling installations/ large spaces in constant or temporary use. Utilising infrared space heaters offers the ultimate effective, efficient and low cost healthy heating for public spaces. People Heating: Retail outlets, foyers, restaurants, shopping centres, reception areas, halls, meeting points, waiting areas, and churches. Animal Heating: Zoos, Farms, American barns, stables, lambing sheds, milking parlour, young stock, beef, pig and large animal units. 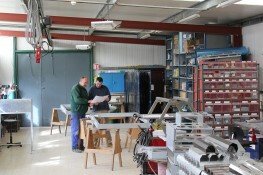 Commercial & Industrial: workshop, garage, factory, distribution depots. 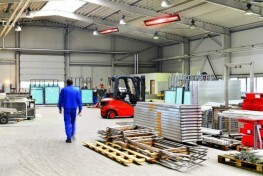 Space heaters are the heaters for the typical ‘hard to heat’ large buildings and areas. High ceiling heaters have the added benefit of being out of reach for members of public, further enhancing the safety aspect and lifespan of the heaters. 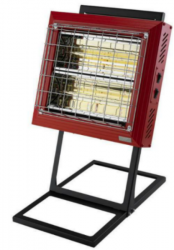 We have a wide range of versatile heaters, some of which are available for 3 phase electricity. If you have a solar panels, or turbine generated electricity with a battery storage system in place then infrared space heaters are the best way forward. 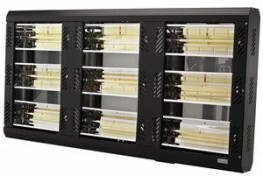 Link space heaters to smart controls to maximise efficiency. 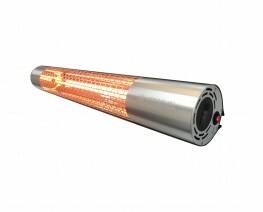 Check out our heaters, call us on 01590 615715, or use our contact form. Please provide as much information as possible so that we can efficiently process your enquiry. Infrared is THE Commercial & Industrial Heating Solution which offers massive cost benefits to the multitude of organisations and businesses throughout the UK. 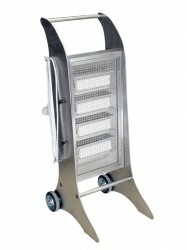 Explore our range of specially selected heaters suited for commercial and industrial sectors. The various heaters come in a selection of styles and sizes, and therefore suited to multiple industrial and commercial themes. Incremental cost savings, instant efficient heating and a massive reduction in wasted energy will help move UK business, enterprise, and public organisations into a leaner more productive unit. There are an incredible number of possible uses for infrared heating within the workplace including; Airport terminals, Docklands, Factory, Warehouse, Garage, Workshops, Offices, Retail Parks, & Shops to name but a few. 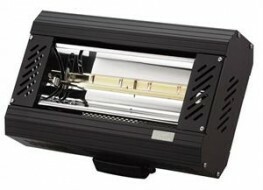 The Warehouse & Factory heaters have been specially selected from our collection that are ideally suited to Warehouse and Factory type environments. At Heat My Space we understand that a Factory doesn’t just consist of one manufacturing space, but individual corridors, bathrooms, offices, workshops, packing stations and kitchens/dining halls. For example the Herschel Panel Heaters listed are optimal for bathrooms and corridors, whilst the Space Heaters such as the Herschel Pulsar/ Tansun Apollo & Tansun Apollo Recess are optimal for main manufacturing and storage spaces, and the Herschel Aspect for packing rooms. Additionally, we have provided a Spot Heater, the Tansun Spot Heater for uses such as drying, and emergency and spot heating. 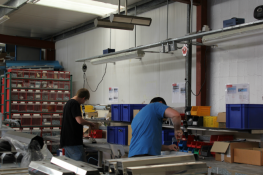 Our Warehouse & Factory Heating offers the ultimate effective and energy efficient solution to heating large ‘hard to heat areas‘ which would normally cost thousands to run with standard convection heating with very little / no effect. With on average 5 minutes pre-heating time and a infrared heating technology that heats objects and people rather than the air, our heaters can be combined with our Smart & Simple Controls to turn your heaters on and off exactly when required and for pre-determined times to ensure no energy is wasted. Garage Workshop Heating solutions. Corporate garages to home garages. CNC workshops, panel beating, paint spraying, and hobbying workshops. Thousands can be saved in electricity costs compared with conventional convection heating. Infrared heating provides a much healthier alternative for your work environment no dust, no mould, no chills. 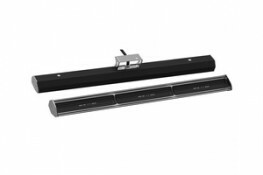 The various heaters come in a selection of styles and sizes, therefore are suited to multiple garage themes. Switch on your heaters on arrival in the building and infrared gets going immediately – no long warm up times- so no wasted ££’s. Keep staff comfortable and happy. Infrared heats objects and not air so those very cold metal objects in the workshop absorb the heat and are much easier to work with. Smart controls ensure that your ££’s spent on heating costs are kept to a minimum. Switch off at the end of the day. 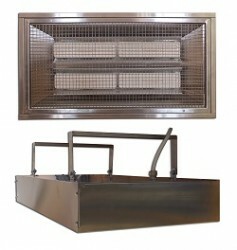 Excellent robust safe site work heaters ideal for all trades, garages and workshops. Site heating is an expensive but important consideration for the building site, industry and the work place. However it must be addressed for the benefit of the workforce or for the purpose of speeding up building processes, and emergency drying out. When imagining expensive energy blowing away in the wind the concept of site heating is low on the priority list but fear not infrared heating will save the day and some money in the process. Infrared Heating is THE cost efficient solution with targeted heating of objects, NOT the air. Use our robust yet lightweight heater the Spot Heat Beaver Portable. Alternatively, the Spot Heat Spotter Mobile for; temporary, spot and emergency heating and drying out. HeatMy Space have a wide range of electric heaters powered by infrared technology which will provide your office heating solution. 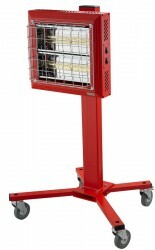 Specially selected heaters from our range are ideal for office use. Ceiling panel heaters, wall panel heaters, no glare ceramic heaters, and space heaters may be simply installed to provide the perfect office heating solution in any number of situations small or large. Our modern style Pulsar space heaters are excellent for large reception and waiting areas with high ceilings. Use our bespoke and off the shelf picture panel heaters to send staff, clients, customers and visitors your corporate message, visual of your products, or logo to empower your branding. If you would like a quote, a layout or sketch, do not hesitate to get in contact and we will offer you the best price, service and heating solution for your building, workers and colleagues! Go electric, clean, efficient and effective with Heat My Space Infrared Radiant Heating.